Ryan Kelley, aka Deputy Jordan Parrish on MTV’s Teen Wolf, is without a doubt my moment of zen this week. Not only is he, in my humble opinion, one of the hottest men on television right now, he’s also a model (see photo below) and if his Instagram is any indication, an animal lover (see photo above). 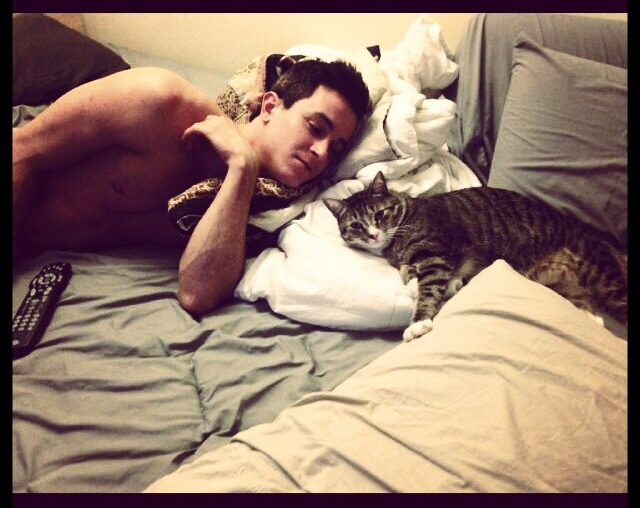 Ryan Kelley is just so damn hot. This entry was posted on Saturday, August 23rd, 2014 at 7:00 am	and posted in Moment of Zen. You can follow any responses to this entry through the RSS 2.0 feed. Even on a show like Teen Wolf where all the men are gorgeous, Ryan Kelley manages to stick out as being particularly handsome. Those pretty green eyes just make me swoon. He seems like a sweet guy too.